Have you always wanted to personalise your self marketing material but found other printers too costly? Are you fed up with sticking labels to everything and replacing your home ink cartridge that can be expensive and time consuming? Oriflame have announced the pairing up with a Printwell, a local printer who will offer you an online library of approved Oriflame advertising at reasonable prices. 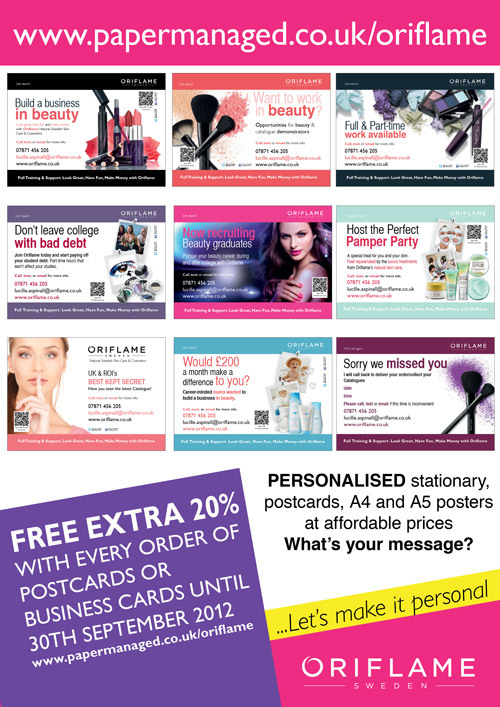 The site is designed to provide Oriflame Independent Consultants/Managers with a Head Office approved stationary and advertising material, all of which will be made available at great value for money.